SDX Energy has made a gas discovery on the onshore Lalla Mimouna exploration permit in the Gharb Basin, northern Morocco. 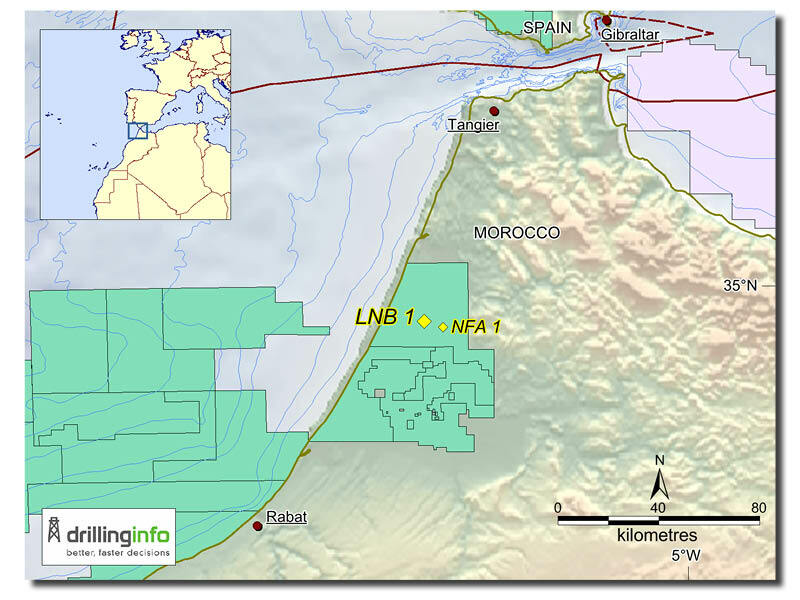 SDX Energy has made a gas discovery with its LNB 1 new field wildcat, located on the onshore Lalla Mimouna exploration permit in the Gharb Basin, northern Morocco. The well encountered 300m of overpressured gas in the primary objective, the Tortonian Lafkerena section. The company has indicated that it may have a thermogenic source which could indicate a new petroleum system. The overlying secondary target in the Tortonian Upper Dlalha interval was also successful, with 2.6m net pay and average porosity of 33%. The Dlalha section will be completed, whilst the Lafkerena horizon will be tested. Company estimates put an unrisked, mid-case resource figure on the discovery of 10.2 Bcf of gas, with 55 Mbc. LNB 1 was spudded in late March 2018 and reached a TD of 1,861m. The well is the eighth in the company’s nine-well campaign in the Gharb Basin. The Lalla Mimouna permit comprises two contiguous blocks (Lalla Mimouna Nord and Lalla Mimouna Sud), originally awarded to Circle Oil in February 2010, who drilled three wells on the licence in 2015 (ANS 2, LAM 1 and NFA 1). SDX entered the permit in January 2017, through the acquisition of Circle Oil’s Moroccan assets and operates the licence with 75% equity, in partnership with ONHYM (25%, carried). Spanish international oil company Repsol has made its biggest ever oil discovery after drilling 15 wells in the Neuquén province of western Argentina. Exploration update on the United States as Chevron and Shell hit two major discoveries.